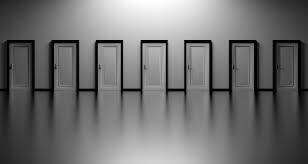 Course selection night at CDHS was February 13th and picking the right class can be hard for students considering there is an abundance of choices and paths to follow. Picking out the right classes can be a challenging and frustrating task. Sometimes you don’t know what you need to do, or what a class is even about. To help understand all the courses that you can take sometimes hearing from a student’s perspective who has taken the class will tell you exactly what that class is like. Most of us will try and get into the class with the best teacher, or least amount of work, but this could end up putting you into a class you don’t really enjoy. An important thing to note when doing course selection is what grade you are in. As you make your way through high school you will realize that you gain more freedom in your course selection during your junior and senior year. Still, there are many different components when breaking down course selection that get confusing. Here at CD, every student is required to complete 23.5 credits to graduate at the end of their senior year. You can receive credits by passing classes, and depending on how often they meet and for how long, you can receive from .5-1.5 credits per class. Classes that meet every day for one period generally are worth one credit. Many other classes such as gym and health meet every other day and are worth .5 credits while many of the AP and higher-level sciences meet everyday, for either one or two periods. In order to graduate from high school you must have at least four English and Math credits, three Science and Social Studies credits, two Physical Education credits, one Art/Humanities credits, a half-credit for Health, and six credits worth of electives. Having only nine periods in a day to fit all of this in can seem overwhelming. Many students find it hardest to choose which electives they think will be most enjoyable. While there are many choices, choices are narrowed down by grade level and what prerequisites you have taken, if any. For example, you cannot take TV Studio II unless you took TV Studio I. You do have the option of taking both classes in the same year, although that is not possible for many students due to time constraints. Freshmen have the option of taking an intro course in art, tech-ed, music, or FCS. Typically, you would want to choose what you have the biggest inclination towards since all of the introductory classes only meet for two marking periods out of the year, making them only half a credit. Many of the intro classes are not required unless you are preparing to take a class as a sophomore that warrants a prerequisite. Most classes are self-explanatory, but there are many classes that you may have an interest in but you don’t know what to expect out of that class. When you are a freshman doing course selection you get to choose two electives and if you want to you can take health class so that you don’t have to as a junior. A strong recommendation from many administrators is taking at least two consecutive years of a language. Depending on what your plans are for after high school, you may be required to have taken a foreign language in high school, or you can just take the language for fun. There are English-centered electives that include writing like Journalism and Creative Writing which challenges you to either write reports or write creatively. Both are classes that require a passion for either reporting and taking interviews or writing fictional stories. There are many computer classes that are great courses and prepare you for college and jobs that involve technology today. If you consider yourself artistic but can’t draw, there are various practical and fine arts classes. Senior Trey Nissley who takes Robotics and 3D Modeling said, “I enjoy the class and would recommend it to anyone who has an interest in 3D modeling.” He considers the class worth it if you are interested in a computer/design field. The class uses an application called Blender and GameMaker which are both fun and complex applications. Another class that includes design is Technical Design which is part of a popular field called STEM. They work with CADD (Computer-Aided Drafting and Design) and use computer renderings to design real world architectural plans, following a similar class which is Architectural Design which is also offered at Central Dauphin. Along the line of computer based classes, Luke Diecidue who takes Programming and Web Design said, “It’s definitely worth the investment, and the job outlook for computer science is extremely high.” He also added that he thinks Miss. Sweigard is a great teacher. There is a vast amount of electives offered at Central Dauphin High and the complete academics planning guide is an extremely useful tool. It can be found online here or on the CDHS web page under Academics > Guidance.